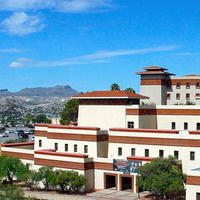 Prior to being housed in the Business Administration Building, the College of Business Administration was spread throughout multiple buildings on campus. Completed in 1983, the new building enabled the college to bring the faculty and students together under one roof. The three-story, 89,248-square-foot building has entrances on the first and third levels.